A king cobra snake that had been missing was found under a dryer in a garage not far from its owner's home near Orlando. Officials say a homeowner called Orange County Animal Services on Wednesday night after she heard hissing sounds while putting clothes in her dryer. Wildlife officers found the 8-foot snake under the dryer. They'd been searching for it since Sept. 2, the day after its owner returned home from a trip and discovered it was missing. 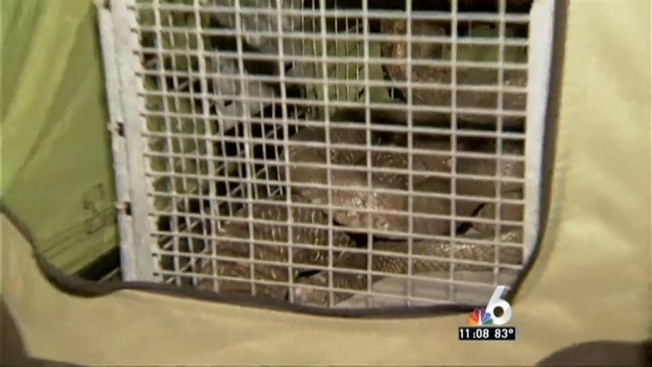 Orlando television stations report the snake has been returned to owner Mike Kennedy. He pleaded not guilty this week to a misdemeanor charge for failing to immediately report the snake missing. Students at a nearby elementary school weren't allowed outside for recess during the early days of the search.